A team led by Dr. Jaime Modiano, a College of Veterinary Medicine and Masonic Cancer center expert in comparative medicine, discovered a gene pattern that distinguishes the more severe form of bone cancer from a less aggressive form in dogs. Dogs are the only other species besides humans that develops this disease spontaneously with any frequency. “Patients with less aggressive disease could be treated conservatively, reducing the side effects and the risks associated with treatment, while patients with more aggressive disease could be treated with more intense therapy,” said Modiano. A new University of Minnesota discovery may help bone cancer patients fight their disease more effectively, according to new research published in the September issue of Bone. Bone cancer typically affects children; the course and aggressiveness of the disease can vary from patient to patient and is very difficult to predict. Some patients respond remarkably well to conventional therapies. Their disease shows less aggressive behavior and they can survive for decades without recurrence. Others respond poorly to treatment or their disease comes back rapidly. Often, these patients survive less than five years.Recently, a team led by Dr. Jaime Modiano, a College of Veterinary Medicine and Masonic Cancer Center expert in comparative medicine, discovered a gene pattern that distinguishes the more severe form of bone cancer from a less aggressive form in dogs. Dogs are the only other species besides humans that develops this disease spontaneously with any frequency.In fact, dogs are much more likely to develop bone cancer than humans, but according to Modiano – who specializes in the relationship between animal and human disease – human and canine forms of bone cancer are very similar and the gene pattern is an exact match. The discovery of this key differentiating signature may be beneficial in the treatment planning of human bone cancer patients.”Our findings pave the way to develop laboratory tests that can predict the behavior of this tumor in dogs and children at the time of diagnosis,” said Modiano. “This allows us to tailor individualized therapy to meet the patient’s needs.”The downstream impact of the findingsUniversity of Minnesota researchers hope to use their findings to develop practical and useful lab tests for humans and for companion animals that will help clinical care providers determine the type of canccer a patient faces, and how aggressive that cancer may be. Then, depending on which type of cancer a patient has, clinicians could adjust interventions and treatment plans accordingly. The study was funded by the National Cancer Institute, the AKC Canine Health Foundation and the Kate Koogler Canine Cancer Fund. The association between animal and human disease is a fascinating topic and one that has always interested me greatly. I was lucky enough to gain a much greater knowledge in this field when I completed a degree in Zoology at uni, after becoming a qualified health scientist and a naturopath and found this diversity of study to be really beneficial whether I am treating people or dogs. However, on the topic of bone cancer, most people are not aware that undiagnosed Coeliac disease can eventually result in an aggressive form of Bone cancer. Coeliac symptoms usually involve one or more of the following: e.g. loose bowels or constipation, fat in the stools, excessive (and foul smelling) flatulence, abdominal bloating, nutrient deficiencies esp. B12, Vit. K and iron, fatigue, weight loss for no reason, low cholesterol, dry skin & possibly rashes, general weakness, missed periods in women – however, sometimes this condition has no symptoms at all. If you have any of the symptoms of coeliac disease, ask your doctor for a simple antibody blood test – it might just save your life! Sar Rooney BHSc., ND., DC., DASc., GDSc. (Hons) Zoology, MHATO, MATMS. 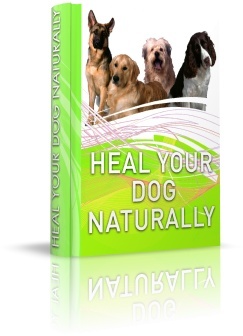 "At Last a Book That Reveals the True Causes Of Your Dogs Health Problems and How To Heal Them Rapidly!" A unique new ebook that provides real solutions to canine health problems such as allergies, skin disorders, digestive conditions, arthritis and a large range of other dogs health problems. A Naturopathic Physician, Health Scientist & Zoologist Reveals the REAL Reasons Why Your Dog Keeps Getting Ill or Is Never Fully Restored To Health and How To Heal Your Dog Once and For All So They Can Live a Long and Happy Life. vegetarian weight loss diet plan on Does Your Dog Eat From A Plastic Bowl? Curt Terronez on Does Your Dog Eat From A Plastic Bowl? california on Why Do We Need Nutrient Therapies For Dogs? Copyright © Sara Rooney 2017. All rights reserved world wide. The information on this website is copyright. All rights reserved world wide. None of the information on this website may be reproduced, distributed, or transmitted in any form, in whole or in part, or by any means, mechanical or electronic, including photocopying and recording, or by any information storage and retrieval system, or transmitted by email, without written permission from Sara Rooney.